Non-aikidoka are often confused when I talk about kata in aikido—“You mean like what they do in karate?” Even most aikidoka are aware of kata only as a term referring to form as opposed to application, or in reference to Saito Sensei’s solo or paired weapons training sequences. 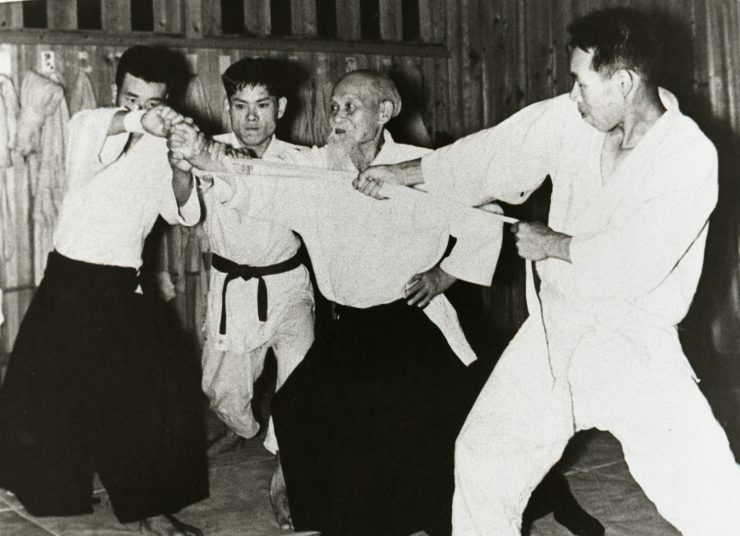 Morihei Ueshiba apparently did not approve of the kata training method, believing that “static” prearrangement of techniques interfered with the direct, spontaneous transmission of techniques from the gods. Thus, in most styles of aikido, kata as a set of prearranged techniques is not used as the primary training method. Kenji Tomiki, like his master Jigoro Kano before him, felt that kata was a valuable teaching tool and incorporated it into his system. 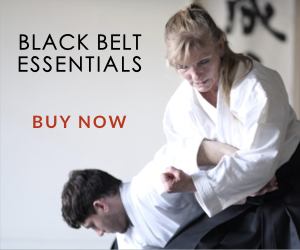 Today, most Tomiki practitioners could tell you that a kata is a set of techniques practiced with a partner for teaching the basic principles of various aspects of Tomiki aikido. 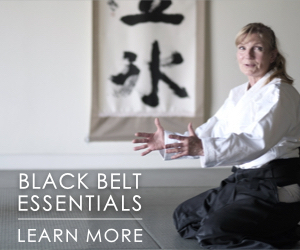 In fact, the Japanese term kata encompasses all of the above… and more. Donn Draeger defines kata as “prearranged form” and goes on to explain in his Classical Bujutsu (p. 56) that “kata became… the central training method for all bujutsu… [because] it is the only way by which the action that characterizes the bujutsu can be practiced without the practitioners being wounded or killed.” Obviously, during the Sengoku Jidai (Age of Warring States), the warrior had ample opportunity to experience direct spontaneous technique on the battlefield, and preferred to concentrate his training time on perfecting the skills that would provide the base from which such techniques could arise when needed. This was done through innumerable repetitions of kata, practiced with one partner as “doer” (shidachi) and the other as “receiver” (uchidachi). Warriors were evidently willing to risk their lives based on this type of training, perhaps because many of the kata techniques and sequences were believed to be the divinely inspired creation of the founder of the ryu. In any event, kata contained the knowledge and experience acquired by successes on the battlefield, either of an individual martial genius or as an accumulation of the experiences of many. 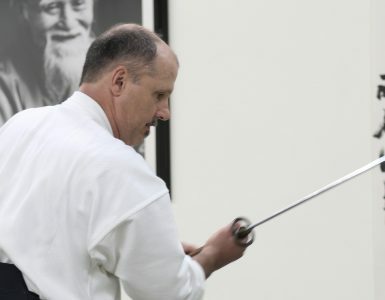 Each technique (also, confusingly to the Westerner, sometimes referred to as kata) in a kata sequence represents a specific situational study—a particular maai, kamae, attack pattern, or weapon—and the sets were organized in various ways to emphasize particular lessons, usually of increasing complexity. Using these reasonably safe, predetermined sequences, warriors were able to train at the edge to develop the reflexes, intuition and courage to survive in battle. Kata was considered an essential component of the spiritual “forge” of training, which became increasingly important as the classical traditions evolved into peacetime ways. “Kata are filled, as it were, with physical koan, or conundrums, situations that evoke technical crises” (Draeger, Classical Budo, p. 52). In order to solve these puzzles a process of intuitive learning-through-action must occur, and this investigative process gradually reveals the technical and spiritual truths essential to mastery. Both judo founder Jigoro Kano and his student Kenji Tomiki believed that kata training must exist side-by-side with randori training; kata is the laboratory, while randori or free practice, is the testing ground. Kano, in consultation with jujutsu masters, developed his various Kodokan kata to exemplify the principles of judo and provide a type of training in which practitioners can examine technique under ideal circumstances in order to penetrate to their very essence. In the Kodokan kata, “all techniques serve as guides to the economizing of energy prescribed by the Principle [of Maximum Efficiency]” (Otaki and Draeger, Judo: Formal Techniques, p. 27). Tomiki also intended for his kata to embody the principles of his aikido, but unlike in judo, where the study of kata usually comes after a practitioner is already familiar with the mechanics of a technique and has experience with randori, in Tomiki Aikido the randori no kata serves as the introduction to technique. Thus, this basic kata provides a sort of ideal blueprint from which each individual can grasp the essence of the principles, and learn to adapt them to the various situations encountered in randori. 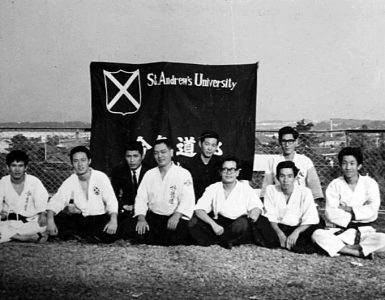 Tomiki Sensei was concerned, however, that his art not become “Sport Aikido” and in order to provide a balance, and a framework for the study of the techniques he and his partner Hideo Ohba had learned from Ueshiba Sensei, they together created what are known as the six koryu no kata or classical kata. Each of these kata, which contain between twenty-five and fifty techniques, addresses a different technical issue, using both attacks and techniques that might not be safe if practiced in randori. 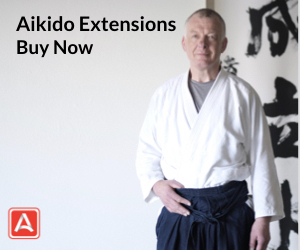 The vocabulary thus provided is little different from the aikido practiced by other styles, and due to the genius of both Tomiki and Ohba we can also reap the various benefits of the kata training format. It is vital, however, that those who do engage in kata training keep in mind that O-Sensei was absolutely correct. The whole point of kata, or form, is to be able to ultimately transcend it shu, ha, ri (keep the form, break the form, and leave the form). Vigorous training within the form is but the first step. When we practice kata in any martial art or way we are partaking of a legacy left us by our masters—the clues that point the way to breaking free of the form are embedded in the forms themselves. Our task is to find them. Copyright ©1994 Diane Skoss. All rights reserved. Diane Skoss founded Koryu Books in 1996, and is the creator of Koryu.com. Prior to moving to Tokyo in 1987, she earned an Masters of Library Science and an MA in English. 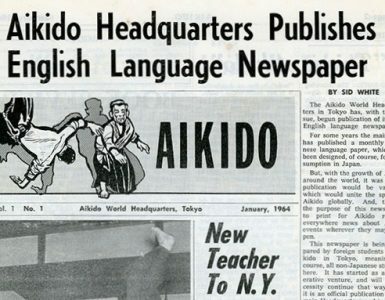 She was Managing Editor of Aiki News/Aikido Journal for six years, beginning in 1990, and was in charge of producing most of the books published by Aiki News between 1990 and 1996. In late 1997, she returned to the U.S. where she and her husband are in the process of setting up a dojo in New Jersey. Her own training began with Tomiki aikido in 1982 at Indiana University, and she now holds a 4th dan, Jiyushinkai, and 4th dan, JAA. Started training in jukendo (bayonet) and tankendo (short sword) in 1990 under All-Japan Jukendo Federation instructor Wakimoto Yasuharu, hanshi 8th dan; she is currently 5th dan in jukendo and 3rd dan in tankendo. 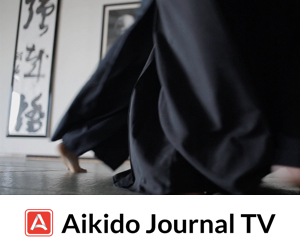 Began training in Shinto Muso-ryu jo under menkyo kaiden Phil Relnick in 1991; she has been awarded the okuiri-sho and also holds Zen Nihon Kendo Renmei jodo 3rd dan, and Jodo Federation of the U.S. 2nd dan. Entered the Toda-ha Buko-ryu under Soke Nitta Suzuyo in 1993, and holds the okuden license. Has also trained in atarashii naginata and judo. For more information see Wayne Muromoto’s profile in Furyu: The Budo Journal 1, no. 4:33-34). She is the editor of Koryu Bujutsu and Sword & Spirit, the first two volumes of the “Classical Warrior Traditions of Japan” series. Learn more here.